The Big Question: Aluminium Bi-Fold Doors or Timber Bi-Fold Doors? The choice of aluminium bi-fold doors or timber bi-fold doors is one a large number of homeowners face. With both having their pros and cons – which one should you choose? 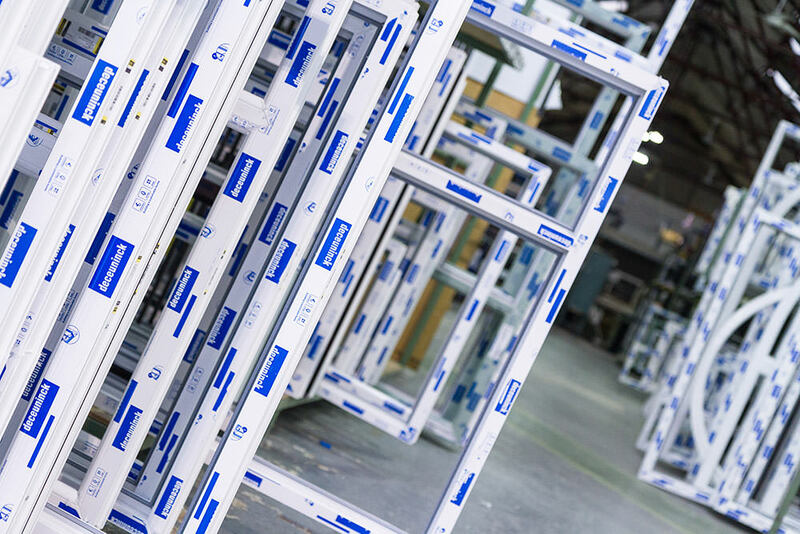 Sternfenster is one of the UK’s largest trade suppliers, manufacturing high-quality aluminium sliding doors for double glazing installers nationwide. We wanted to tell you about the benefits of aluminium doors versus wood. This will allow you to make the best decision for your home improvement, before you choose your Sternfenster Approved Installer. 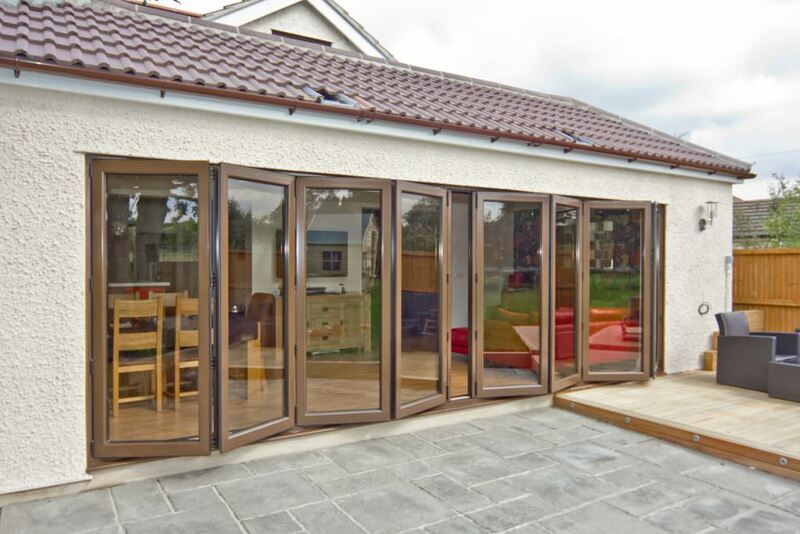 What Can Aluminium Bi-Fold Doors Offer? Choosing bi-folding doors can improve your lifestyle experience, giving you an enhanced living space that offers a seamless connection between your home and garden. It is this element that has allowed them to become one of the most popular home improvements in the UK. 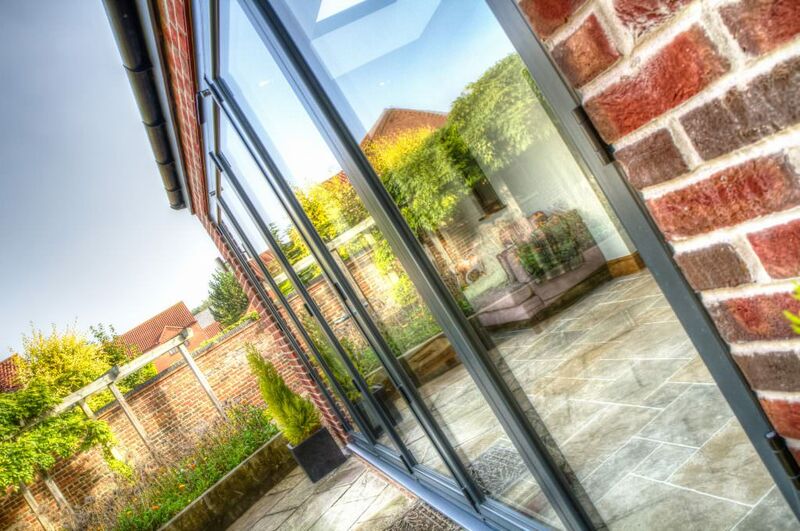 Aluminium bi-fold doors are fast becoming the must-have double glazing installation. They offer an updated, contemporary and high-performance alternative to their timber counterparts. Overall, they have proven themselves to be a worthy investment for your property that enables you to enjoy innovation and practicality at accessible prices. Guaranteeing you the very best standards available, we work with market leaders Smart Architectural Aluminium, utilising their Visofold 1000 aluminium bi-fold door system. These aluminium doors are incredibly high quality, offering outstanding, all-round performance. The Visofold 1000 system is the very latest design on the market. It is this system that will be the point of focus throughout our comparison of aluminium bi-fold doors and timber bi-fold doors. 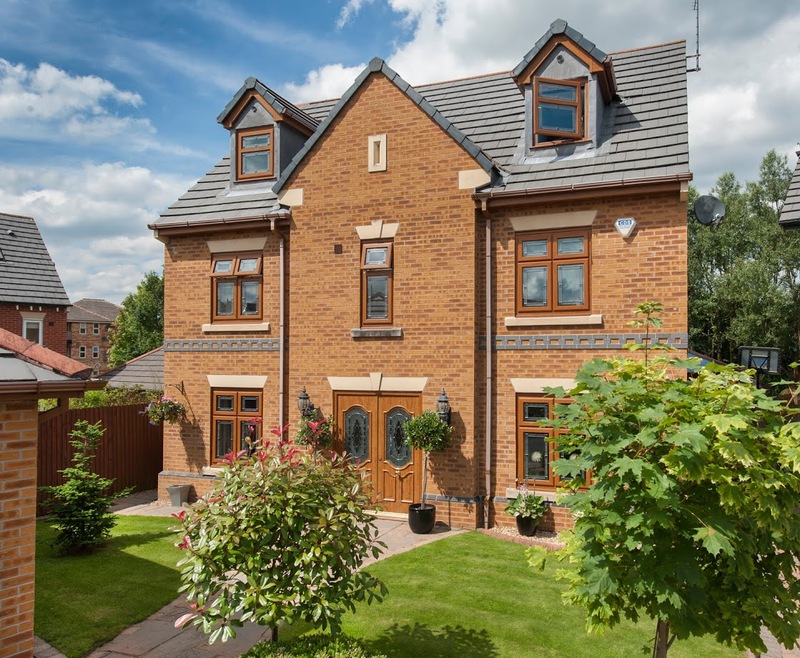 Timber does boast impressive, eco-friendly standards of thermal efficiency, performance and strength whilst maintaining an authentic appearance. Aluminium, however, outclasses it in every way and can be decorated with a woodgrain finish to achieve the timber look. Sternfenster obtains the highest standards achievable in the fabrication of aluminium bi-fold doors, which has resulted in us becoming highly regarded throughout the double-glazing industry. The installers we work with are highly accredited and approved, giving you great customer service and reliability. 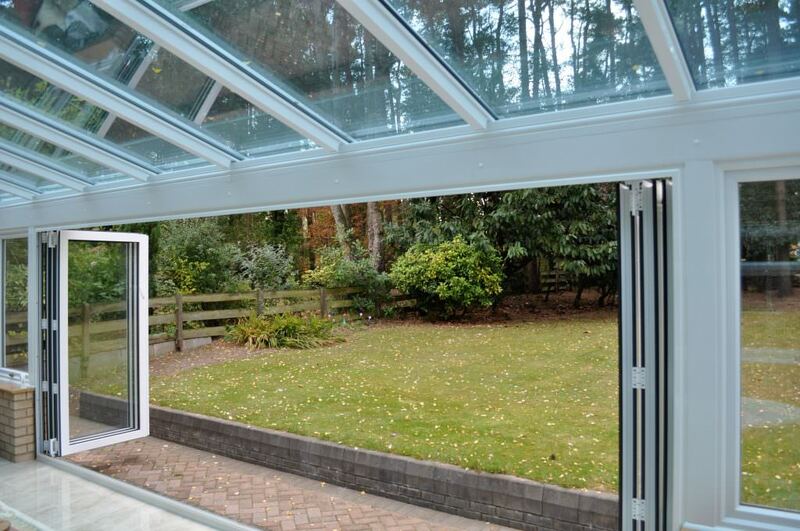 Aluminium bi-fold doors use cutting edge innovation to ensure superb thermal performance. Timber doors, however, very often rely solely on the insulating properties of the wood. This can be incredibly detrimental to bi-fold door performance, as wood is often affected by the weather, expanding as it soaks up the rain and splitting as it dries. With aluminium bi-fold doors, none of this is an issue. The state of the art, polyamide thermal barrier fitted throughout our bi-fold door profile ensures your home achieves an outstanding level of thermal efficiency. It prevents heat from transferring between the inner frame and outer frame, and ultimately, away from your home. It’s not only about heat retention, with our aluminium sliding doors, you also get superb weatherproofing. Our profiles are built with EPDM high-quality gaskets and weather brushes to ensure fantastic performance. So, no matter how harsh the British weather is, your home is protected. With the thermal barrier and weatherproofing technology combined, our aluminium bi-fold doors provide outstanding performance. The natural weatherproofing of aluminium, coupled with a superior degree of thermal performance, means that timber bi-fold doors pale in comparison. Wherever you are in the UK, security is an important factor for any entrance to your home. You need a bi-fold door that excels in home protection, meeting the very highest standards. For security, no other double glazed door matches aluminium bi-fold doors for security performance. Aluminium boasts an impressive standard of inherent strength, being almost impossible to break. 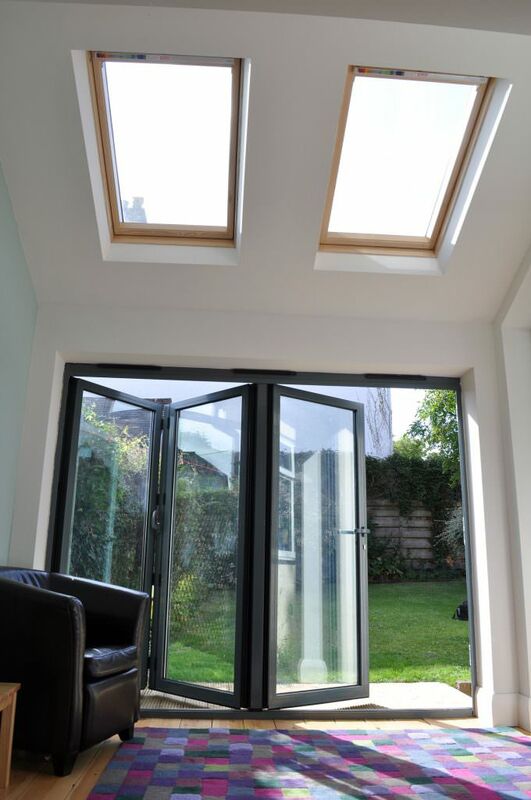 Timber bi-fold doors, on the other hand, can be accessed much easier. The security standards inherent to aluminium are then enhanced by our state of the art locking systems. We fit our aluminium bi-fold doors with multi-point locking mechanisms on the main opening sashes. This is then backed up by shoot-bolt locking on the floating mullions, making every section of the bi-fold door completely secure. For protecting your home anywhere in the UK, aluminium bi-folding doors are the perfect choice. Maintaining aluminium bi-fold doors need not take up all of your free time. It’s one of the major benefits of aluminium bi-folding doors that they are so low maintenance. Timber, in comparison, will need to be stripped, varnished and repainted every few years to maintain aesthetic and performance. In fact, all you will ever need to do is give aluminium bi-fold doors a quick clean and they’ll look fresh instantly. It really is that easy. No issues with time consuming and costly regular maintenance, aluminium sliding doors offer a hard-wearing opening to your outside space. Their intelligent design means they take the bare minimum of care to keep operating at the highest standards. All aluminium thresholds are powder coated to ensure an outstanding level of aesthetic and durability, allowing them to withstand heavy use. Our range of low threshold options can also be fitted with super strong ramps for maximum accessibility. Aluminium is the ideal material to create an accessible entrance to your garden or patio. Whether you are a wheelchair user, or you have mobility difficulties, you can rely on aluminium bi-fold doors to provide you with an accessible opening to your home. Across the UK, thousands of people benefit from this practical asset, enjoying an entrance which is accessible for all. We’ve mentioned the powder coatings that create the long-lasting finish on aluminium bi-fold doors, so now we are going to talk about how this also enhances the design. Choosing aluminium bi-fold doors allows you enjoy a range of impressive design options, that no other bi-fold door can provide. Your home, whether period or modern, will benefit aesthetically from aluminium bi-fold doors. With the design features of aluminium, it really doesn’t matter how old your home is, you can still benefit from this complementary design. Aluminium bi-fold doors can be coated in a selection of 13 standard colours, guaranteeing you get the colour that is right for you. Dual colour is one of the great advantages of our aluminium doors. This choice enables you to effortlessly complement the interior and exterior of your home, simultaneously. 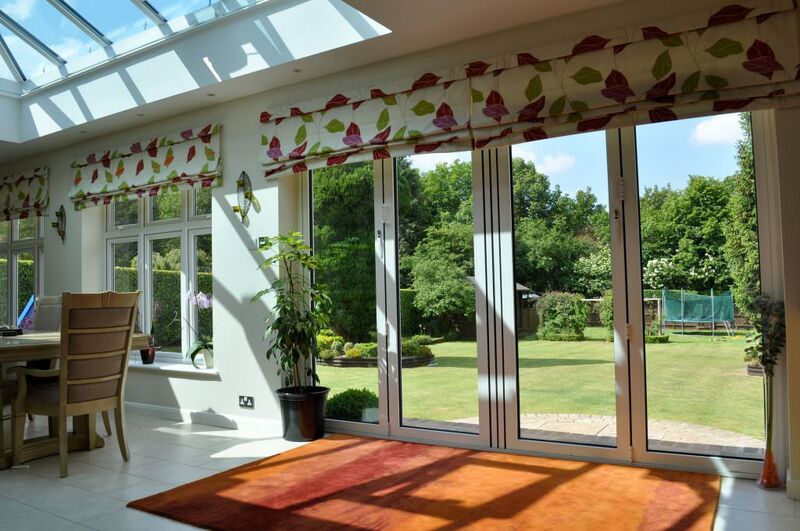 As always, our aluminium bi-fold doors will keep colour fullness for many years, eliminating the need for repainting. Our aluminium bi-fold doors are also available with a range of hardware options so that you can create a finished look that ties in with your property style and your tastes. When it comes to stylish looks that blend in with your home, nothing matches the aluminium bi-fold door. 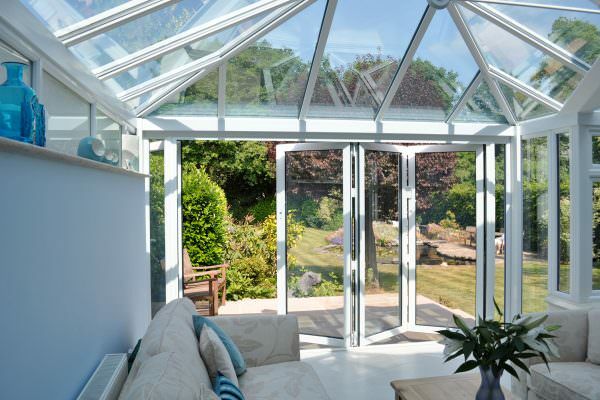 Aluminium bi-fold doors offer superb versatility, which means they can be fitted easily into any conservatory or extension. They can also be effortlessly installed to create a seamless connection between your home and your garden. Aluminium sliding doors can be adapted to offer a stylish and appealing entrance in almost any area of your home. They can be internally or externally beaded with a choice of optional sidelights, enabling you to make the most of the space you have. The concertina opening motion can be either set to open inwardly or outwardly, depending on what best suits your home. They can come in either single or double doors and in a range of panel options. You can even choose which way your doors open – from the left, from the right, from the centre, or anywhere in between! It really is a situation where the design is tailored to create the perfect fit for your home. This is great for any UK homeowner. Whatever home you have, an aluminium bi-fold door can be customised to suit. We’re sure that by now, you can see the amazing benefits of choosing aluminium bi-folding doors for your home improvements. You just need to find a trustworthy and quality installer in your area of the UK. We are able to help you with your search. Simply enter your details on our ‘Find Your Installer’ page, and you will be given the information for installers near you who have been approved to install Sternfenster aluminium bi-fold doors.